The Ford EcoSport and Renault Duster competitor, Nissan Terrano is finally here and has been launched in India at a starting price tag of Rs 9.58 Lakh. The Nissan Terrano gets different bumpers, tailgate, headlamps, tail-lights and an all-new grille that's a family trademark. However, most of the changes are on the outside and the cabin is similar to the Duster's. 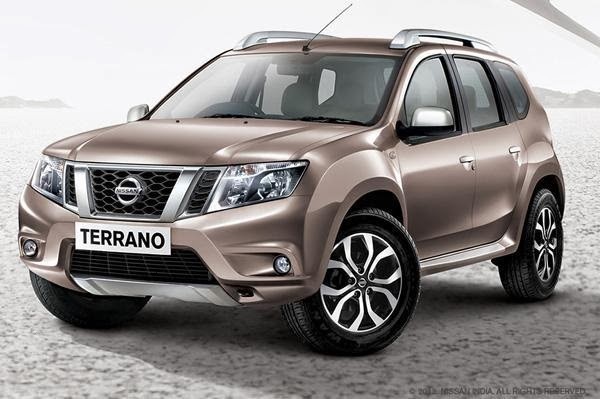 Nissan has restyled the exteriors of the Terrano to better differentiate it from the Duster. There will be the familiar 1.5-litre DCI diesel engine with two different power outputs -- 84bhp and 109bhp -- and a 1.6-litre petrol engine on offer.